"A good course with a few flaws, which have a lot of merit." The challenge of rapidly learning Mandarin Chinese to a high level can be immense with its 4 different tones, many thousands of unique characters to be memorized and its formidably difficult pronunciations. Learning Mandarin is, however, an extremely rewarding challenge that will allow you to travel to the most important country of the 21st century and be able to communicate with any of China's 1.3 billion people. A key factor in being successful when learning Mandarin is to use the best, most effective and up to date learning materials. To help you with this key task we have rigorously evaluated and comprehensively reviewed one of the most popular Chinese learning programs on the market - Fluenz Chinese - both on its own merits and in comparison with other popular programs such as Rosetta Stone, Berlitz and Rocket Chinese. One of the main differences with Fluenz Mandarin's approach when compared with Rosetta Stone, Berlitz and Rocket Chinese is that it is, in a sense, slightly more honest about what is required to learn a language to a high level. It eschews the oft-repeated statements and claims of rival programs that there is a simple, easy and natural "cookie cutter" approach that almost effortlessly leads to proficiency in a foreign language. This refreshing honesty has allowed the development team to create a deeper, more involved and thorough Chinese learning course which doesn't skirt around key explanations on grammar, pronunciation and tones. It means that, by the time you complete the course, you will normally have a slightly greater all-round proficiency and understanding in numerous different aspects of the language when compared with the completion of other courses such as Rosetta Stone. The downside of this is that it can be less enjoyable and "tougher going", especially when compared to Rocket Chinese. Most of the current language learning programs considerably underestimate the crucial importance of tones in Mandarin Chinese. This leads to a great deal of misunderstanding, mispronunciation and a distinct lack of smoothness when communicating with native speakers. While not being perfect, Fluenz at least attempts to tackle this difficult aspect "head on" with 2 full exercises completely devoted to the successful pronunciation of the four tones. It also, on the whole, makes sure to pay enough attention to the tones in the standard exercises. In this respect, Fluenz Mandarin is infinitely better than both Rosetta Stone and Berlitz and roughly on par with Rocket Chinese which has its own effective tonal lessons. The strength of the Fluenz Mandarin program partly depends on what your actual goals are for learning the language. If you want to try and master Mandarin in an extremely effective home learning environment that covers all the main aspects of the language and takes you progressively stage-by-stage to higher and higher levels of proficiency then Fluenz is definitely a course you should consider. However, if you are just looking at picking up a quick bit of vocabulary in a short period of time before traveling to China then you are probably better off with Berlitz or Pimsleur. It is important that you honestly assess your goals in order to pick the best program for your needs. From a visual and presentational standpoint Fluenz Mandarin really shines, both in its own right and when compared to competitors. 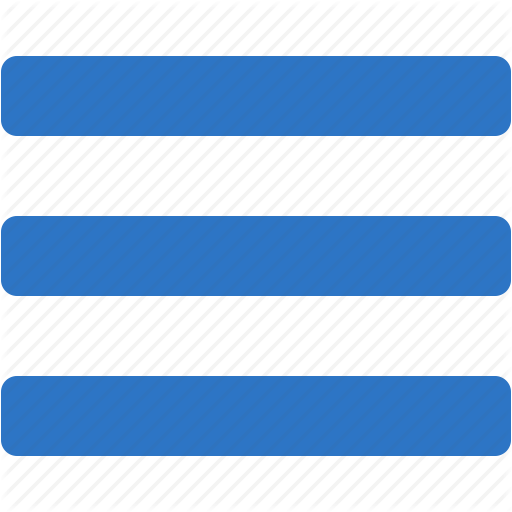 The layout, fonts, images, colors, graphics - pretty much everything - just looks and feels "right" and facilitates learning effectively. It feels modern and professional in the way that a course like this should. That you can see the teachers pronouncing the words and sentences is extremely useful and missing from some of the other programs. Sometimes just seeing the actual positioning of the mouth and facial movements can be crucial for accurately reproducing words and sounds close to that of a native speaker. Quite Expensive, Rocket Chinese Is Better Value! There is no doubt that investing in the full Fluenz Mandarin course is quite expensive, with the price for all 3 levels combined costing the user between $350 and $400. It is no small investment, especially if you are on a budget. However, when you consider the huge volume of highly effective and enjoyable training included (75 sessions in total, each lasting up to 150 minutes), the high production values and the effort that has gone into creating the course, it is reasonable value. However, Rocket Chinese is indisputably a far better value course in that it costs only $99.95 for lifetime online access plus an array of enticing bonuses. This saving of over $250 makes it a far more attractive proposition for most learners. The $250 could be used towards one-to-one lessons, saving towards a trip to China or just as a nice saving in its own right. It's certainly hard to justify shelling out so much extra money when Rocket Chinese is an excellent course at a far lower price. It is arguable that perhaps Fluenz Mandarin's greatest strength is that its creators have recognized how powerful and effective a one-on-one learning environment with a native speaker is. Fluenz Mandarin strives to create an environment as close to this as possible, at a far lower cost. On the whole it succeeds, although, it goes without saying that you don't get the same feedback or personal approach that a tutor can provide. Each lesson is well-paced, interesting and you do, over time, develop a connection with the teachers. In this regard, both Rocket Chinese and Fluenz Mandarin are well ahead of their rivals. Fluenz Mandarin is one of the best selling Mandarin language courses, and with its high production values and well thought out, structured approach to teaching, it is not difficult to see why. 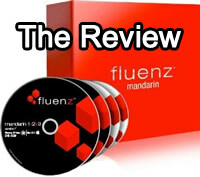 Fluenz Mandarin is a slick, well-produced course for learning Mandarin that has a lot of merit. Ultimately, when recommending whether someone should buy Fluenz Mandarin or not, you have to honestly compare it to its rivals. When evaluated this way, the only conclusion we can come to is that Rocket Chinese is, on the whole, the better course of the two. Rocket Chinese is tremendously good value, provides a fast, effective and enjoyable learning environment and contains some of the best bonuses we've ever seen include MegaCards and the Chinese Survival Kit.